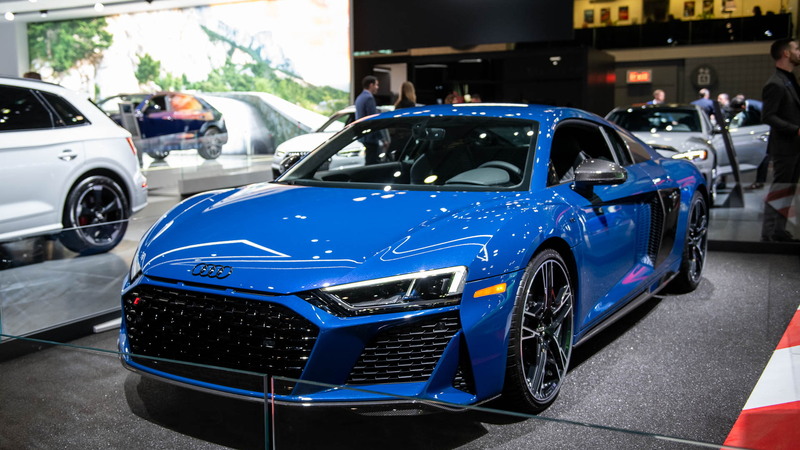 The 2020 Audi R8 is ready to storm the Big Apple with a refreshed version of its high-end R8 sports car. 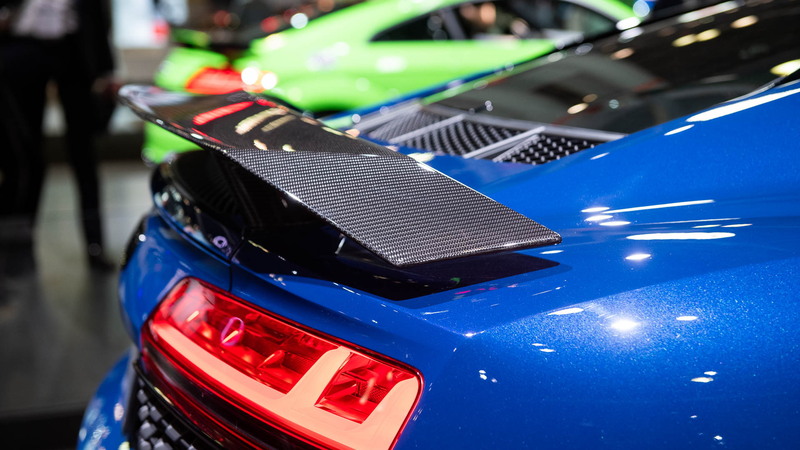 On Thursday, the German brand revealed the updated R8 for the U.S. market after showing the global car last year. Of note, Audi will skip the 2019 model year and jump straight to the 2020 model year for the U.S.-spec car, the brand confirmed with Motor Authority. Last October, when Audi revealed the refreshed R8, it hadn't provided performance specs for U.S. cars, but it was worth the wait. Every 2020 R8 will feature a top speed of at least 200 mph. The R8 V10 Spyder boasts a top speed right at 200 mph, while the R8 V10 coupe will go 201 mph. Stepping into an R8 V10 Performance coupe or Spyder will raise the top speeds to 205 mph and 204 mph, respectively. The higher speeds are thanks to a bump in horsepower and torque from the 5.2-liter V-10 mounted amidships. Audi confirmed standard R8 coupes and Spyders will make 562 horsepower and 406 pound-feet of torque, up from 532 hp and 398 lb-ft previously. Performance models boast the most power with 602 hp and 413 lb-ft on tap, which is unchanged. 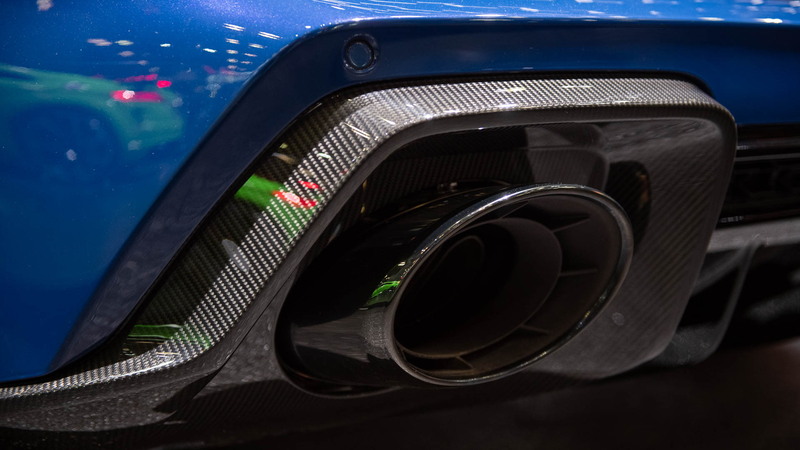 Like the European car, the new R8 gets crisper lines at the front and rear with a new honeycomb grille, front lip spoiler, revised rear diffuser, and honeycomb air inlets. Sharp eyes will notice the headlights have also been darkened and the rocker panel now includes an inlay. 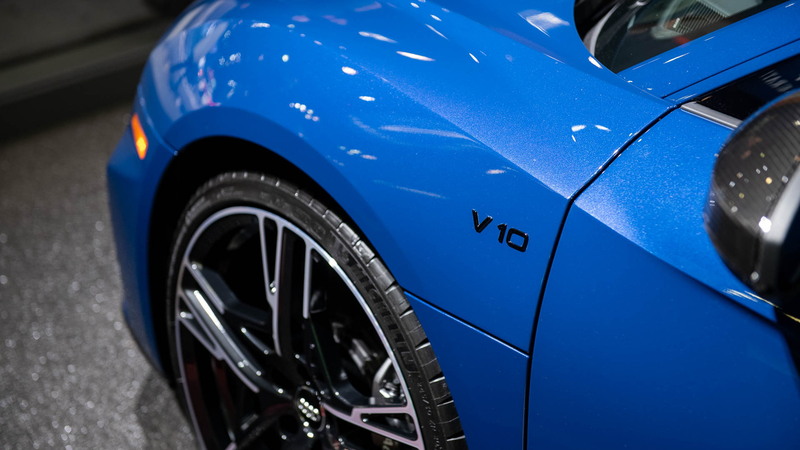 Standard V10 models feature gloss black lower trim, while Performance models receive a titanium finish with the option for carbon fiber instead. Standard wheels are 19 inches in diameter with optional 20-inch wheels, while the R8 Performance receives standard 20-inch wheels with a titanium finish. An anthracite bi-color finish is standard on regular models. Customers can now also choose Ascari Blue for V10 Performance models; standard R8 coupes and Spyders now offer Kemora Gray as part of the exterior color palette. The cockpit houses Audi's fully digital gauge cluster as standard and two new interior colors join the fray: Pastel Silver and Palomino Brown. Wireless charging is also standard on all 2020 Audi R8 models. 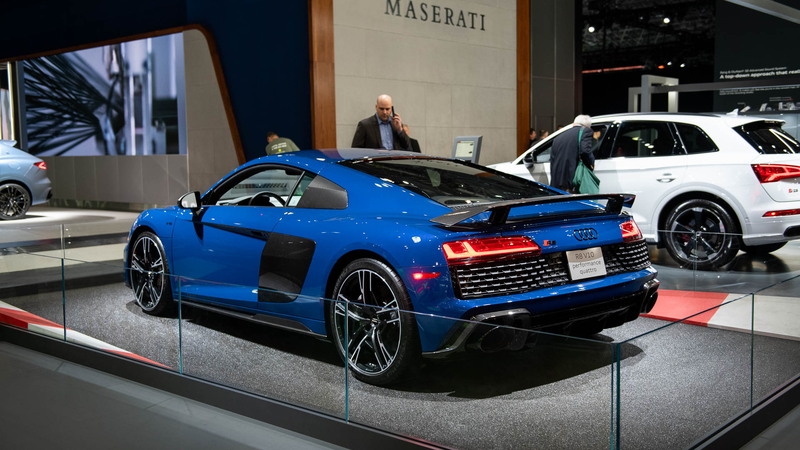 Audi plans to show the 2020 R8 at the 2019 New York International Auto Show. There, it will sit parked alongside the limited-run R8 Decennium, which celebrates 10 years of the V-10-powered R8 sports car. For more from New York, head over to our dedicated hub.